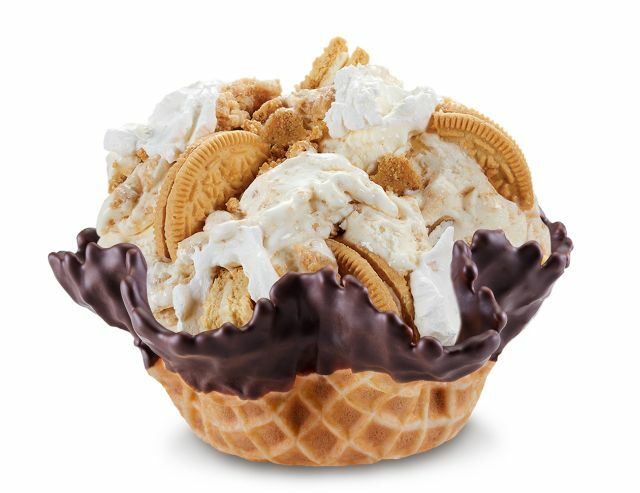 Cold Stone Creamery gets into the swing of the 2018 spring season with the flavors of Lemon Pie and Strawberry Shortcake ice cream. Returning Lemon Pie ice cream is featured in the "Oh My, Lemon Pie! Creation" along with Golden Oreos, graham cracker pie crust, and whipped topping. New Strawberry Shortcake ice cream is featured in the "Strawberry Short and Sweet Creation" where it is joined by strawberries, Nilla Wafers, and whipped topping. Both seasonal flavors are available through May 15, 2018.